Steampunk is a cool fantasy world. What if the world hadn't evolved into the modern Information Technology world, it is today, would it have evolved into Steampunk? 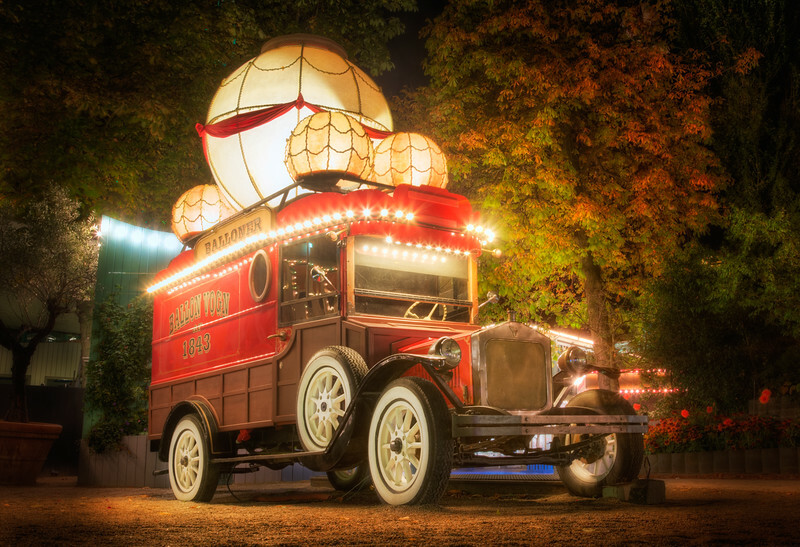 You can find this particular Steampunk balloon car in Tivoli Gardens in Copenhagen, a fairytale amusement park. The second oldest in the World. Photo by: Jacob Surland, http://www.caughtinpixels.com Licensed creative commons non-commercial v4.0. No derivative Work. Protected by Pixsy.com.